"Friday morning wasn’t just an ordinary Black Friday morning for me, my heart skipped a little beat when the door buzzer went off and the postman told me he had a package for me. I’m not gonna lie, I had zero idea what it could be and I just love getting post. So it was a padded envelop and still it could have been anything to be fair but it wasn’t just anything…it was something I had been stalking on social media, it was something I knew I’d want, I didn’t know was coming to my door but my god when I saw it I squealed like a little piggy. 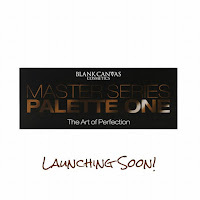 As you can tell from the title of this post it was of course the Blank Canvas Cosmetics Master Series, Palette One. Oh wow it’s so pretty. I am a sucker for packaging, some people aren’t bothered about such trivial things as a sleeve for the palette or whether or not it comes with a brush but these things are really important to me. Every time I buy makeup or shoes for that matter and it comes in a box, such as MAC, Urban Decay or Inglot makeup, it has to live in it's box for at least 6 months to a year. I love opening my makeup drawers and taking items out of their boxes, they always feel so safe and it keeps the makeup really clean. 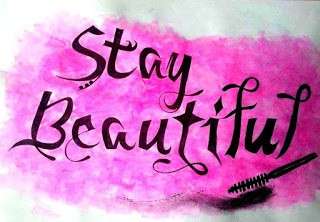 I am starting to sound quite neurotic but trust me my obsession with makeup is totally justified, it’s all for the sake of the blog….I swear!! Anyone who has followed me since I started blogging will know that I just love Blank Canvas Cosmetics, I post about them all the time, I use their brushes each and every single day I wear makeup and I love their palette including the contour palette, neutral palette and the beloved Pippa palette released earlier this year. I am thrilled that Una and her team have released this Master Series, Palette One before Christmas as of course I would be adding it to my Christmas list. Ladies (& Gents) listen up…If you have a makeup lover in your life then they will need this palette. If you are also a fan of Pippa O Connor, you will know that if you add PIPPA to your basket you can get 10% off your sale so now you really have no excuse! Palette One is made up of : 12 beautiful neutral shades perfect for creating a variety of eye looks. The palette has the perfect balance of 11 velvety matte shades ranging from a gorgeous vanilla base colour to a dark brown shade. It also contains 1 shimmery champagne highlighter shade. The Master Palette also contains the bestselling vegan friendly E40/41 Double Ended Tapered Crease Blender/Smudger. The stiff flat shader end (E40) can be used dry/damp to apply eyeshadow. The fluffy dome side (E41) can be used to blend seamlessly. For a day look recently I used four shades out of the Palette. I started with Strut and blended that into my crease as my transition colour, I then added Forza the slightly warmer shade again to the crease to define it more. For the lid I went with the beautiful highlight colour of Goddess and then on my bottom lashes I used Carmin. This was an extremely simple look, probably taking 5 minutes at the absolute most. The colours are really easy to blend and the payoff is wonderful. I was up really early that morning, 6am to be exact and the eyeshadow was still perfectly in place when I got him that evening from work. The colours in the palette are really suited to my taste. I don’t always have tan on, I try to but some days your body just needs a break so I like to use orange and brown tones on my eyes. They tend to work well with my brown hair and blue eyes. Actually my hair isn’t exactly brown at the minute it’s got a subtle purple hint but that will be gone on Saturday so I can safely say brown hair. Time to get more festive and warm looking. Festive is actually a word that springs to mind with this palette, again I don’t know if the packaging has something to do with that but it’s warm and cosy looking, it suits the wintery weather we have today and it can create beautiful night-time looks perfect for those festive nights out. If I am in a rush to get to work some days I have been using one colour all over the lid and crease. Most days I will choose either Carmin or Forza. I just love the peachy tone to them and then when I have a little tan on and a darker foundation, the coral colour brings out the blue in my eyes brilliantly. I love how this palette can take a person like me from day to night in seconds. I’m sure there’s plenty of palettes that can do this for really talented MUA’s but there are days and especially mornings that I will really struggle to be at my best makeup game. Some days in work I wear little to no makeup so a wash of a good, easy to blend, beautiful colour keeps a girl like me really happy. I think this is why the palette will work for people who are trained or just have a love of makeup. I also think it is a fantastic starter palette as all of the shades will suit a range of eye colours and it comes with a double ended brush. This to me makes a really good Christmas gift so if this is something you want or you want to get someone else then please do order soon so you are not disappointed with delivery times." When I read back over this post last night with a view to having to edit a lot of it, I was surprised that my eye looks are still the same I create with this palette. I still love the Goddess colour for the lid to brighten the eye but you cannot beat the two shades of Forza and Hibiscus to really make a blue eye pop! I had this palette post on my mind as lately I have found myself going for the master series palette more and more during the week. 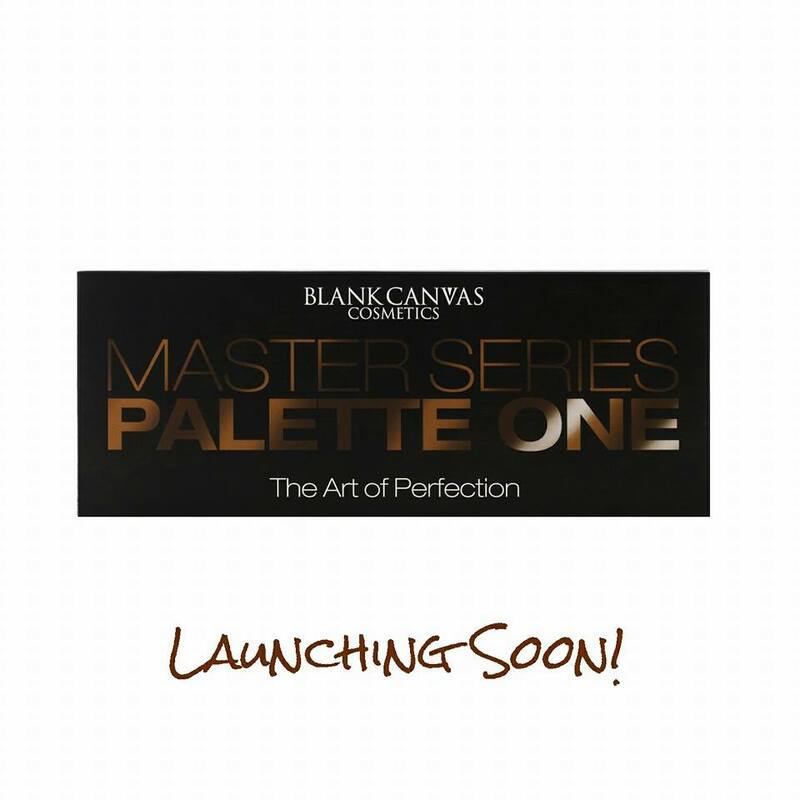 With the beauty show looming, I am penciled in to work the two days with the Blank Canvas Cosmetics team and once again I'm sure this palette will just fly off the shelves. Back in September, the shelves had to be constantly restocked during the beauty show as they were such good value. I still think this palette is the perfect gift from someone else or to treat yourself. As always my love for Blank Canvas only grows and I'll be sure to bring you more posts on the brand before the beauty show.